Super disco package. 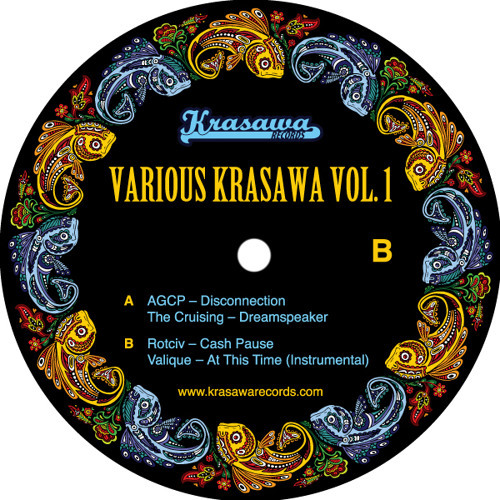 The release opened with AGCP’s ‘’Disconnection’’ that didn’t feel it so much, always the those analogue or digital strings are not what my ears love. Then continues with a track that is love at first sight an dthi sis not the first time that this happened with Cruising. On ‘’Dreamspeaker’’, their characteristic bassline and eighties dub disco boogie space Balearic vibes are killing me. Rotciv on board on the Russian label with an incredible track, boogie '’Cash Pause’’ is percussive absolute mid eighties lost track!!! The EP is running out with the most electronic point of Valiquer I ever heard, percussive ‘'At This Time'; on its Instrumental Remix is an electrified disco offering by him.